Updates are important to apply and should be done regularly. I’ve had a couple of customers who have had Windows update issues. Basically the machine was spitting errors at the users. The error code they were seeing on a few machines was 0x87D00668. I did some poking around. Thankfully I have a quick and dirty way to fix this issue which is pretty much my go to when these issues crop up. Windows updates are important to apply on a regular basis. You really don’t want to miss patching machines. 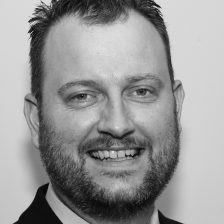 In fact you should have a process in place to ensure you update all your computers regardless of the flavour of Operating System (OS) on a regular basis. On the machine you are having the problem, go to the Microsoft page where you can download the Windows Update Troubleshooter. 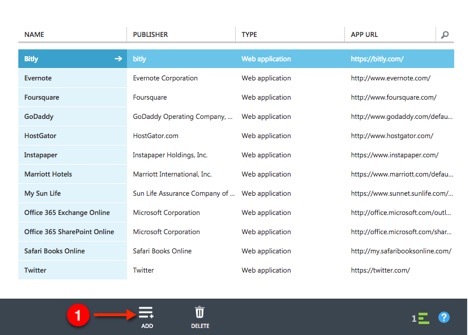 Download it, and then run the application using Admin credentials. It will go and basically clean up the folder where Windows updates are. That file location is C:\WINDOWS\SoftwareDistribution\Download. Then the tool restarts the Windows update service. I suggest a reboot at this point although it is not indicated it is needed. With Configuration Manager 2012 R2 the updates, which were pushed as required, automatically started again and installed without troubles. Rename the Software Distribution folder. Then start the Windows Update service. 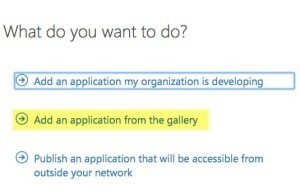 This should work for those who use WSUS, manual updates or something like Configuration Manager. *Update – This works great for those trying the Windows 10 Beta and finding things getting stuck. 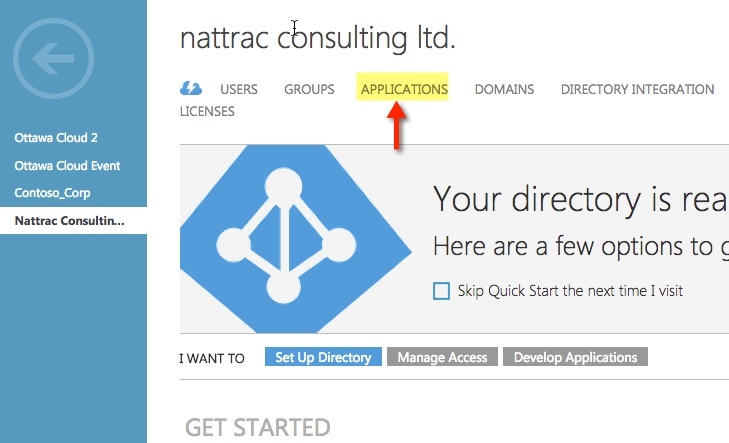 Adding applications to your Active Directory implementation in Azure AD is fairly straight forward. Let me walk you through a setup and show you what you’ll need to do. First you need sign up for Windows Azure. 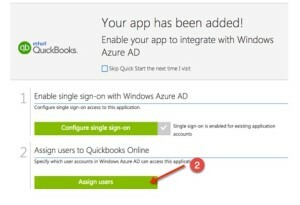 This part is free, just go to your free azure trial. 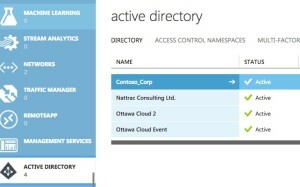 Note that having an Active Directory in Azure does not cost anything. You can add a limited number of applications under the free version as well but can’t use two-factor authentication. Next you need to create a directory. The Microsoft MVA I recorded with Anthony Bartolo covers this off way better then I can do here. So go on and watch it, follow along and once you are familiar with that, come on back. 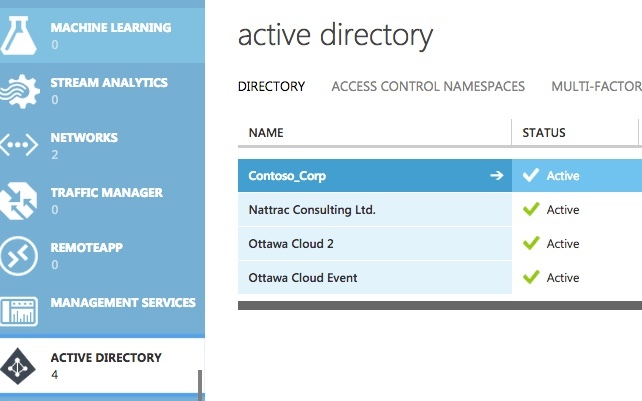 You should now have an Active Directory in Azure. Here is a screenshot of my directories. 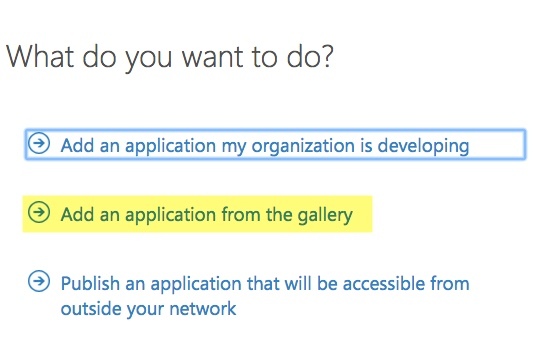 Once your users are created and working properly, head over to the applications. In the applications area, click add in the lower bar on the screen. Next search for the application you want. 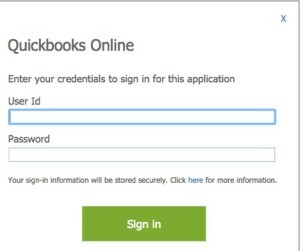 In my case I entered in Quickbooks and searched for it. 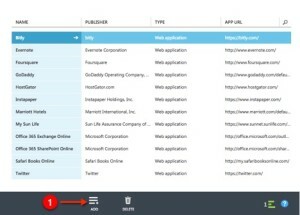 Find the app, click on it and click the check mark. Now that you’ve added the application, you need to assign it to the user. The wizard will bring you to this screen. 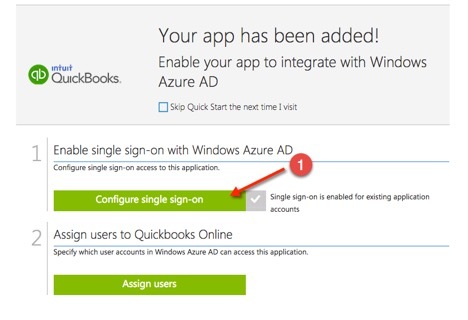 First click on Configure single-sign on. 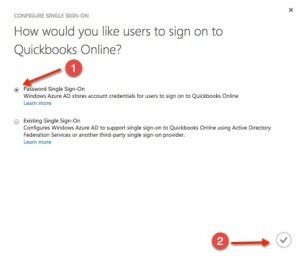 Here you are going to select Password Single Sign-On then click the check mark. Change the sort to users (or if you want to assign to a group, leave it as is). 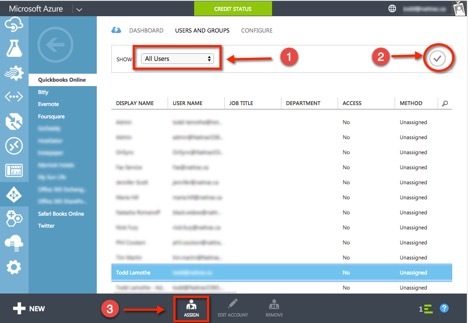 Find the group or user you want, select it and then click ASSIGN. You will get a warning screen. You have the option of putting in credentials in for the user (great if you don’t want the user to know the underlying password for the application) or the user will be prompted for them first time if you do not. 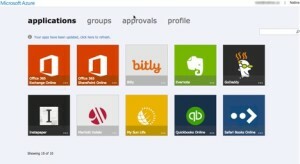 Next direct the user to myapps.microsoft.com and have the user log in. If you have two-factor authentication on then you will be challenged for the second piece of authentication. 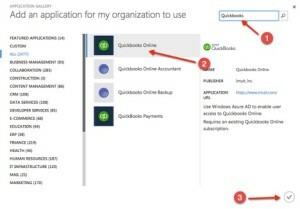 Two-factor authentication is available on Azure AD, but it has a cost for each user who needs it. Having two-factor authentication is a great way to lock down your system though. Once the user logs in you will screen like the following. 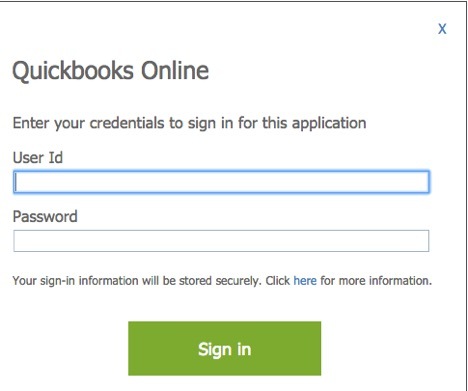 Click on the application, in this case Quickbooks and then you will be prompted for Quickbooks credentials if the admin didn’t enter them in and you have not done so yet. Once you do this, you’ll be good to go.